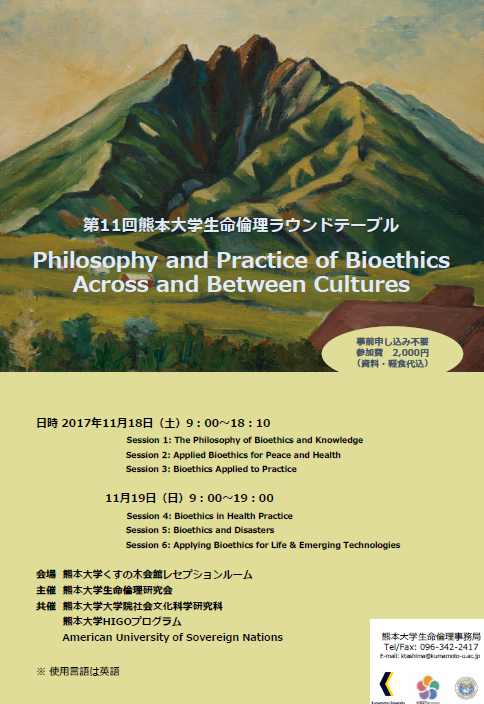 The topic of KBRT11 is “Philosophy and Practice of Bioethics Across and Between Cultures”. While life science and medical technology show remarkable progress, the development requires us to reconsider the meaning of “Human Being”, “Medicine”, and “Happiness” in a fundamental manner. This Bioethics Roundtable, while taking cultural differences into account, will re-explore the meanings of essential concepts in medical ethics in connection with philosophical, ethical and practical considerations.